Personality Development for an Enriching and Fulfilling Life ! Personality Mantras is an initiative to enable individuals to unlock their true potential, achieve their dreams and be their best in life. A good personality is crucial for success in personal and professional space as it helps us to become confident and clear in life. A holistic personality has 3 key dimensions - Emotional, Physical and Mental and a balance among the three ensures a powerful personality that will withstand any challenge or problem in life. 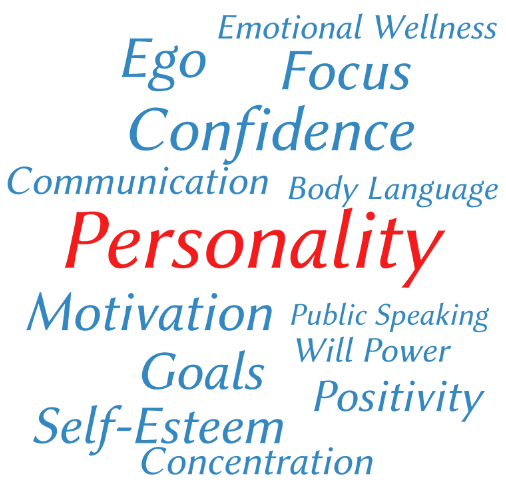 Personality is an amalgamation of many attributes like confidence, motivation, self-esteem, positivity, emotional intelligence, will power, resilience, communication skills, presentation skills, body language, mental strength, interpersonal skills and goals. Whether we call it Life Skills or Soft Skills, the focus is on developing a personality with the mentioned attributes.